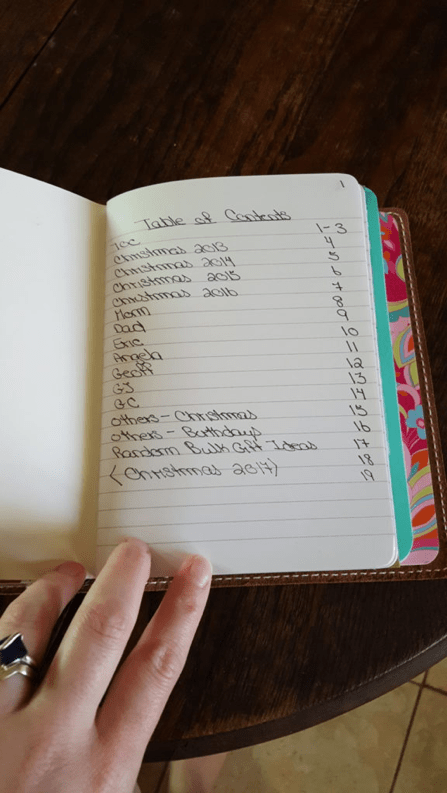 This is an expanded article about how I organize my gift list and do Christmas planning that I originally blogged about here. Birthdays. Anniversaries. Mother’s Day. Father’s Day. Christmas. There are many different occasions for giving gifts. I don’t know about you, but I have great anxiety about gift giving. Mainly because I’m always afraid I’ve given the wrong thing or trying to remember what that perfect gift was for [insert name here]. We’ve all been there. When my husband and I got married, we decided to limit the number of individual gifts we gave and go to bulk gifts instead. Now, I’m not saying I hit up the Seasonal Aisle at Wal-Mart and buy up 20 of the same thing (though I have been tempted). Immediate family (parents, siblings, grandparents) received personalized gifts, while aunts, uncles, cousins, friends, etc. all received what I call Bulk Gifts. 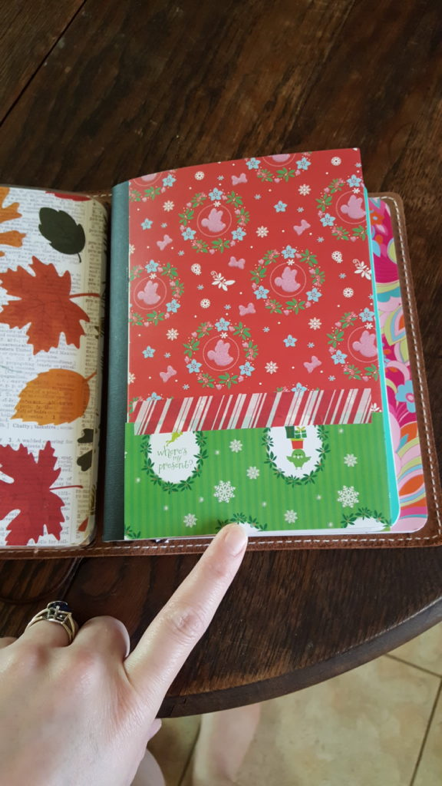 In this article, I explain and illustrate how I use a Traveler’s Notebook insert to keep my gift lists and Bulk Gift ideas organized. Once again, just because I’m illustrating in the TN insert, doesn’t mean you can’t create a section in a ringed planner or whatever system you use. My book may be decorated with Disney Christmas scrapbook paper, but it contains all gift ideas. It’s easier to have everything in one place. My notebook is set up in the Bullet Journal style. 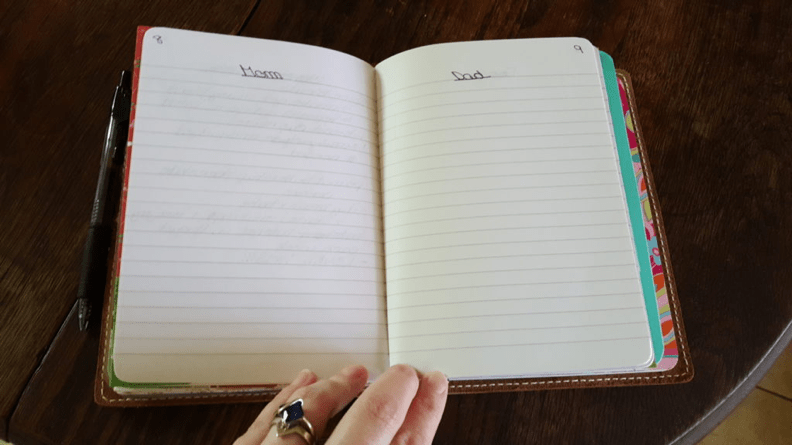 Tables of Contents up front for easy location, Contents Pages, and, if needed, Index in the back if I fill up my Table of Contents. 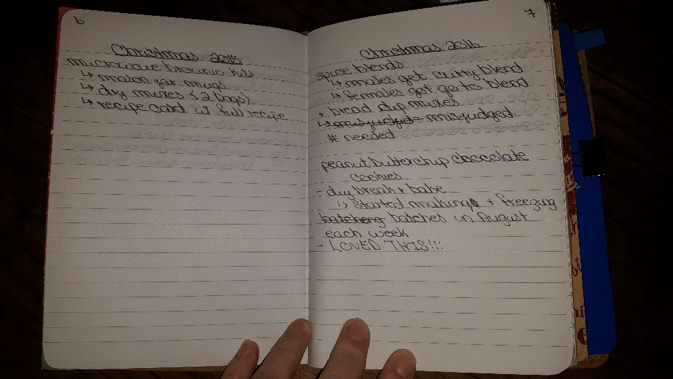 I started off making notes about Bulk Gifts given the past three Christmases (2014, 2015, and 2016). Then I listed out all individuals who would receive personalized gifts (husband, mom, dad, brother, mother-in-law, father-in-law, grandmas). 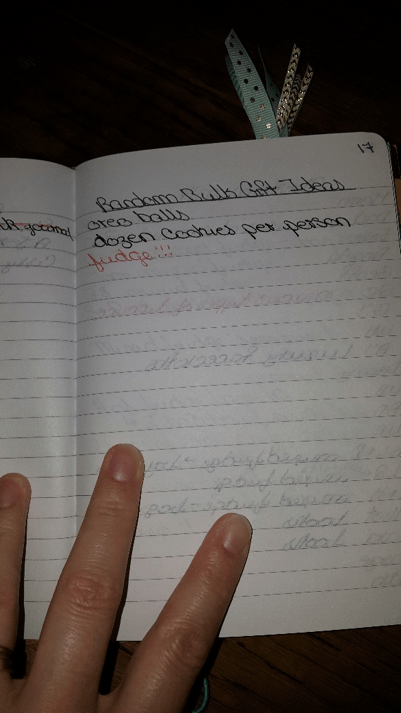 Each of them has their own page where I make notes of things I see or have already bought to give them. I also have notes pages for Other Birthday Gift and Other Christmas Gift Ideas. On these pages, I make notes about what I could get a particular person for his/her birthday, who doesn’t have his/her own page, or if I’ve already gotten them something. I’ve also started roughing out what we’ll be doing for Christmas 2017. I like to at least know what we’ll do doing for the Bulk Gifts as early as possible, so I can start watching for sales for ingredients. Our Bulk Gifts typically revolve around food, since I loathe to give tchotchkes that take up space and aren’t really wanted. I do have an overall list of birthdays and anniversaries that I consult when I’m setting up my monthly calendars for the year. It’s nice having all that information in one place. Cori Large is a blogger, YouTuber, writer, knitter, and librarian. Writing is her passion, she hopes to one day publish a book, and thus achieve a childhood dream. When not writing blog posts, filming YouTube videos, writing fiction, or knitting, she is taming research dragons as a librarian. She can be reached at her blog, YouTube Channel, Knitting Podcast, and Facebook Page.